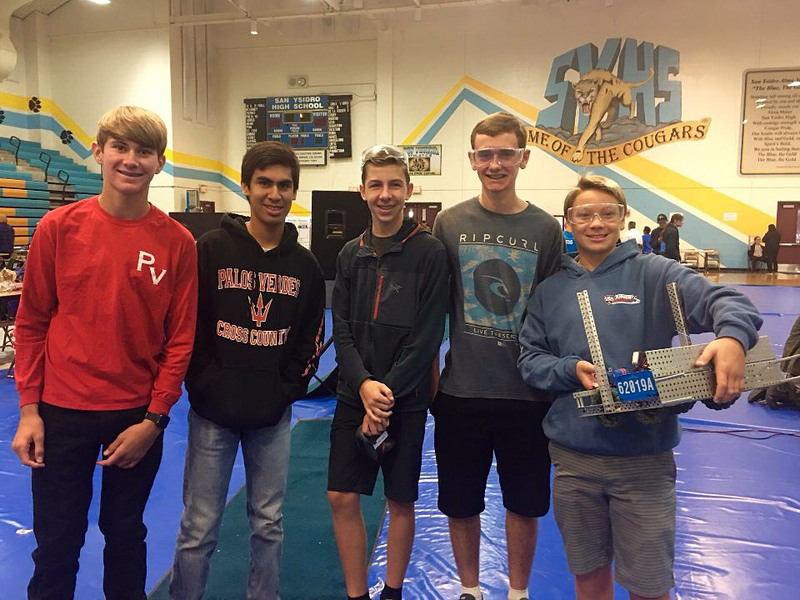 The First Robotics team sent a small but sharp group of freshman to the South San Diego VEX tournament to get some robotics experience. The team performed amazingly well, especially since they only had a week to build the robot, and finished in 3rd Place. Congratulations to Trevor Heise, Garrett Ponce, Jake Leonard, Kyle Cross, and student mentor Steven Davis for a fun and educational experience — just think if they had 2 weeks to build the robot! 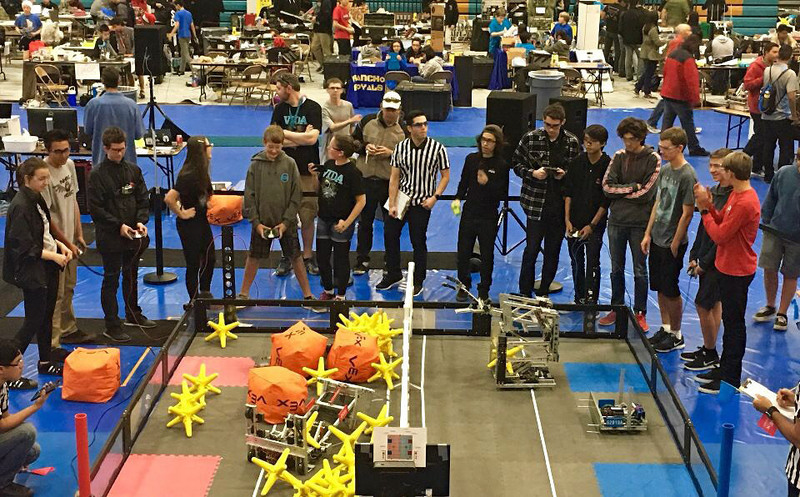 Pictured is our team on the right, after clearing the field by working with an alliance team to push all the objects onto the other team’s field, winning that round.